This unique set of jewelry was made by me using curb chain, into which I crocheted/stitched in and around to form a lovely pattern. I used double thread...a cream colored crochet thread and a turquoise colored crochet thread. This makes the pattern look even more interesting. 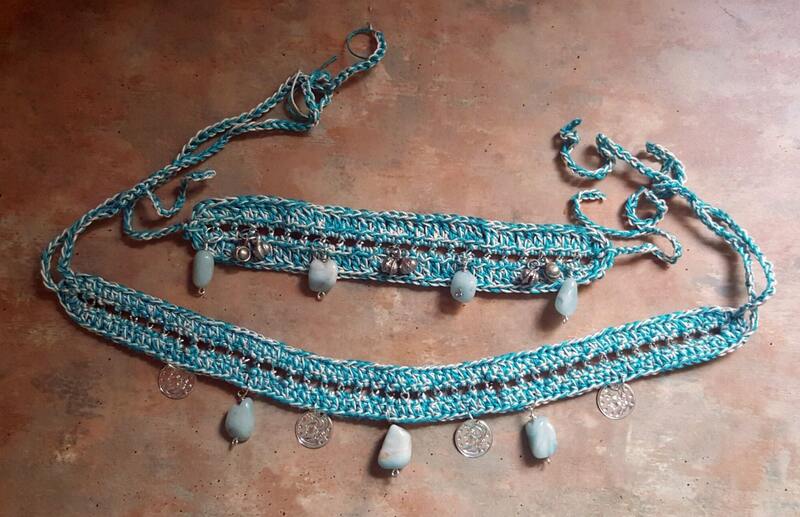 Both the choker and the bracelet connect by crochet chain ties. 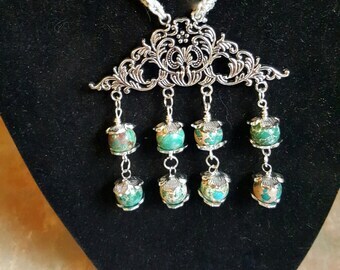 The jewelry is then decorated with beautiful Amazonite stones, bells and coins. Very Boho!